At Cento Fine Foods, we understand the ever-evolving food world and the growing desire to know more information than ever about the food you buy, including where it’s from and how it was produced. 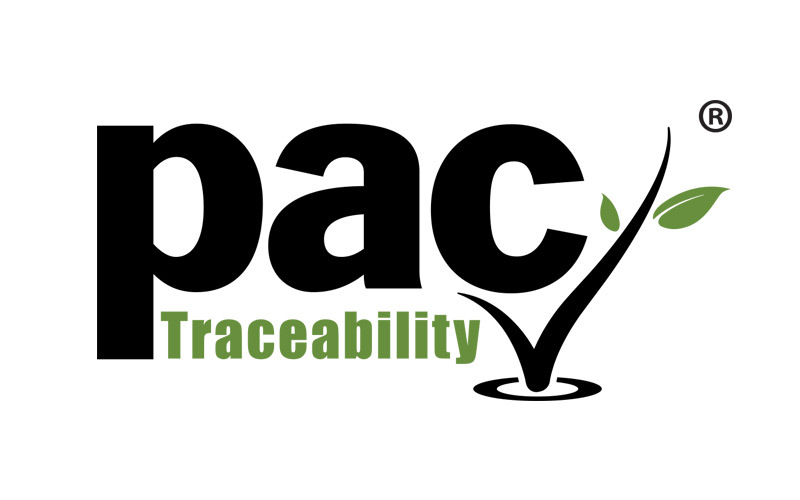 In support of our full transparency initiative and commitment to quality and safety, we’ve partnered with PAC Traceability for Find My Field, which brings traceability to a number of our tomato products. Using the lot code on each can and GoogleEarth Satellite, you can now view the exact field in the Sarnese Nocerino area of Italy where your tomatoes were grown. Find My Field allows us to guarantee the authenticity of our tomatoes, ensure that our strict set of production practices have been followed, and improve our overall quality control and quality assurance processes. Cento Certified San Marzano Whole Peeled Plum Tomatoes are grown in the Sarnese Nocerio area of Italy, renowned for its especially fruitful soil as a result of its proximity to Mount Vesuvius. Our San Marzano tomatoes are certified by an independent third-party agency to ensure superior quality. 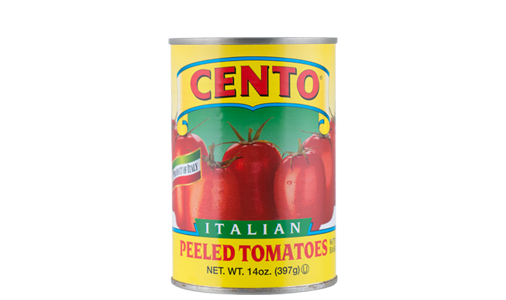 Cento Italian Whole Peeled Plum Tomatoes are premium Italian plum tomatoes, hand-picked only when ripe and packed in a heavy puree with fresh basil. Plum tomatoes have a thick tomato wall but still remain delicate, making them ideal for authentic Italian cuisine. 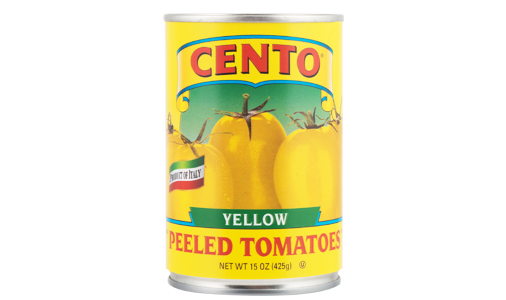 Cento Yellow Peeled Tomatoes are hand-picked only when ripe to preserve their vibrant, golden color and sweet, fresh taste. This proprietary hybrid is a blend of a San Marzano tomato and a yellow cherry tomato. Cento Datterini Tomatoes are hand-picked only when ripe to preserve their fresh taste and vibrant red color. Datterini tomatoes, or "little dates", are known for their small, elongated shape and sweet taste. 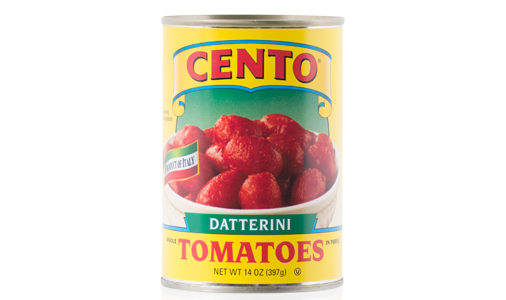 The lot code is located on the top or bottom of your can of Cento Italian tomatoes. These lot codes allow us to trace every can to the exact farm in Italy where the tomatoes were picked to ensure that each crop is up to our high standards. If you need assistance in tracing your can, please contact our customer support. PAC, or Product Attribute Certification, was created to verify the traceability and sustainability standards and practices by consumer food companies. Consumers seek more information than ever about where their food came from and how it was produced. Tracing a specific attribute of a product to the precise location is the exact type of information PAC provides. Our mission is to certify the geographical connection of attributes to products. Traceability that connect the consumer to each stage of the supply chain provides transparency while promoting consumer confidence and loyalty. 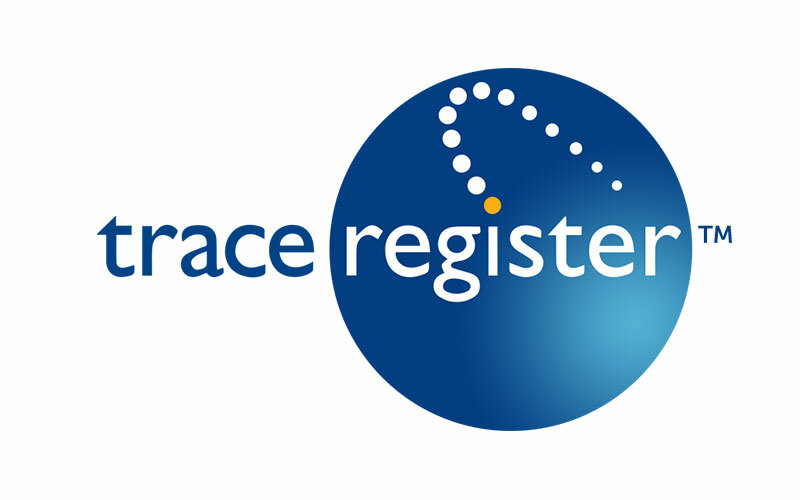 Trace Register allows us to electronically connect specific lot data with product available to consumer, certifying our traceability standards and ensuring they have been properly met. 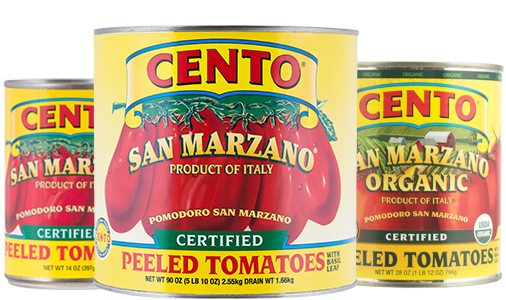 Cento partnered with Trace Register to showcase our Certified San Marzano Tomatoes, and through Trace Register and Find My Field, consumers can trace their cans of Cento Certified San Marzano Tomatoes back to the exact field where their tomatoes were grown.